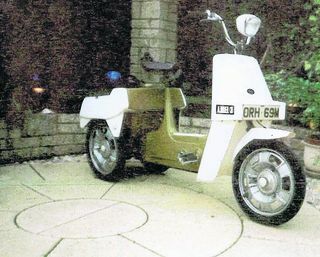 THIEVES who stole a rare three-wheeler moped have been warned riding it could kill them. 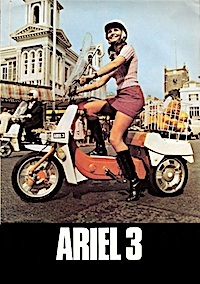 The white and green 1976 BSA Ariel 3 was stolen from a shed in Minchery Road, Littlemore, some time between April 17 and May 8. A serious design flaw with the vehicle means it can tip over while going 30mph – something which led to the bikes being dubbed “granny killers”. Last night owner Robert Taylor urged the thieves to return the bike. He said: “The bike was designed to take on the Japanese imports in the late 1960s. “But they were a massive business failure, because of the risk they pose. If you’re riding it and lean forward too far, it will just fall over. “A number of old ladies found this problem out when driving it home with a basket of shopping on the front. Mr Taylor, 48, from Herschel Crescent, Littlemore, has owned the bike for almost 20 years and displayed it at motor shows across the region. It was stolen from his mother’s home in Minchery Farm, where he grew up. Because the bike – registration number ORH 69M – has three wheels, it is expensive to insure and tax because it is classed as a car, instead of a moped. Mr Taylor, who works as a boatman at Christ Church, said: “The bike is so unique and most people of my generation recognise it instantly. There are very few around now, especially not in such good condition. “The vehicle is worth about £500 but it is of huge sentimental value to me. 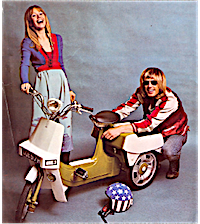 “Although it was a disaster for the BSA company, it has gained cult status and is very popular in the biking world. Police have appealed for witnesses to the theft. Det Sgt Richard Pickering, of the Oxford auto crime team, said: “This bike is very distinctive and easily recognisable. Anyone with information should call Oxford police on 08458 505505.